By turns thrilling, dramatic, and touching, this is the story of Queen Victoria's childhood as you've never heard it before. Miss V. Conroy is good at keeping secrets. She likes to sit as quiet as a mouse, neat and discreet. But when her father sends her to Kensington Palace to become the companion to Princess Victoria, Miss V soon finds that she can no longer remain in the shadows. Her father is Sir John Conroy, confidant and financial advisor to Victoria’s mother, and he has devised a strict set of rules for the young princess that he calls the Kensington System. It governs Princess Victoria's behavior and keeps her locked away from the world. Sir John says it's for the princess's safety, but Victoria herself is convinced that it's to keep her lonely and unhappy. Torn between loyalty to her father and her growing friendship with the willful and passionate princess, Miss V has a decision to make: continue in silence or speak out. In an engaging, immersive tale, Lucy Worsley spins one of England’s best-known periods into a fresh and surprising story that will delight both young readers of historical fiction and fans of the television show featuring Victoria. Lucy Worsley is the chief curator at England's Historic Royal Palaces. She is the author of the novel Maid of the King’s Court as well as a presenter of programs on royalty and other topics for the BBC. Lucy Worsley lives in London. Contemporary customs and royal politics round out the narrative to provide an intriguing glimpse into the girlhood of one of the most powerful women in European history as imagined by one of Britain's most popular historians. A brilliant blend of historical fact and artistic license. Worsley’s expertise in the subject creates an intimate story accurate enough to feel plausible...those intrigued by Queen Victoria or historical fiction will find this volume moving. Give to teens who are ready to graduate from the “Royal Diary” series. A rich and moving historical fiction about one of England’s best-known monarchs; recommended for fans of Carolyn Meyer and Michaela MacColl. 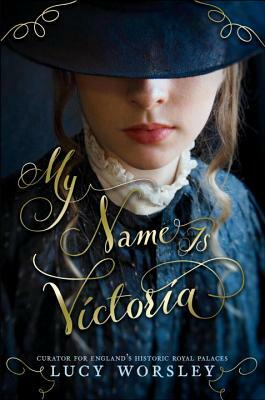 This suspenseful, entertaining tale presents a view of the young Queen Victoria as seen through the eyes of Victoria Conroy...Miss V’s seven-year tenure with Victoria is marked by suspicions, tensions, revelations, and unexpected alliances; the girls’ physical similarity to each other develops alongside their friendship, making for a deliciously surprising and satisfying ending. Worsley (Maid of the King’s Court, 2017), the chief curator at Historic Royal Palaces, digs into the details of the time period with aplomb, offering up a slice-of-life examination of pre-Victorian England...for history buffs, the period details will fascinate. Author Worsley, curator for England’s historic royal palaces, brings to live those inhabiting Kensington Palace, as well as the other residences where Victoria lived before becoming queen. She’s given this story historical relevance and accuracy, while weaving a delightful fantasy about the woman who became one of the United Kingdom’s most famous monarchs.